WEST LAFAYETTE, Ind. –- The triannual “On Local Government” program put on by Purdue University Cooperative Extension Service will be held 2-4:30 p.m. EDT on May 20 at county Extension offices across the Indiana. 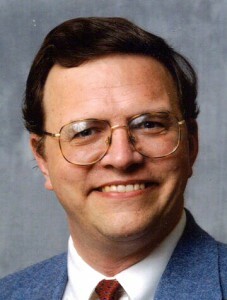 Larry DeBoer, Purdue professor of Agricultural Economics, will present Life after Recession: Local Government Finance Update on May 20. Larry DeBoer, a professor of agricultural economics at Purdue, will present “Life after Recession: Local Government Finance Update” via video streaming. DeBoer will discuss the state budget, look at the results of the property tax billing for 2010, report on the results of the tax referenda and offer thoughts about what an informed constitutional referendum voter might consider during the November elections. The presentation can be viewed at the following county Extension offices: Allen, Bartholomew, Clark, Dearborn, Decatur, Floyd, Fountain, Hendricks, Johnson, Kosciusko, LaPorte, Tippecanoe and White. A viewing also is available at the Greene County Community Learning Center. The program is free and open to everyone but may be of interest to local and county government officials. Those interested should register by noon May 18 by contacting Extension educators from the above counties.